Our 2018 ISSVA Workshop was a tremendous success, with record-breaking attendance and abstract submissions. Planning is well under way for our 2020 Workshop to be held in Vancouver, BC, Canada from 12-15 May, 2020. As in the past, there will be both introductory and advanced sessions. The advanced sessions will be held on 12 May, 2020, the day before the official opening ceremony. Mark your calendar now! We will explore options to develop an international journal dedicated to the field of vascular anomalies. Both initiatives are still in the early planning phase, but have strong support of the membership (as indicated by the 2018 survey). Stay tuned for updates. During the Board's Autumn meeting, it was agreed that we should expand our global footprint. To that end, we are exploring options to hold our 2022 meeting in Hong Kong. ISSVA has never held a meeting in Asia and the board feel strongly that the time is right to consider this possibility. Please remember to pay your dues, if you haven’t already done so. The success of ISSVA depends on our members’ fiscal responsibility. I’d also like to remind members to update their member profile and be sure to add a public portion to your profile, including a listing and contact information for your Vascular Anomalies center. Doing this will allow patients and physicians looking for resources world-wide. In closing I’d like to thank the ISSVA Board and Justin Dodge for their hard work on behalf of ISSVA. I’m very optimistic about our future as an organization. We look forward to your thoughts and participation in supporting these initiatives, to keep ISSVA strong. There are widely varying opinions on where the meetings should be held. 50% of members are Clinicians, 45% are both Researchers & Clinicians; 5% are Researchers. More than half of our members completed the survey and we thank each of you! Ours is a growing and changing Society and your input, particularly at this time, is critically important. Please continue to reach out to us and share your views and insights. 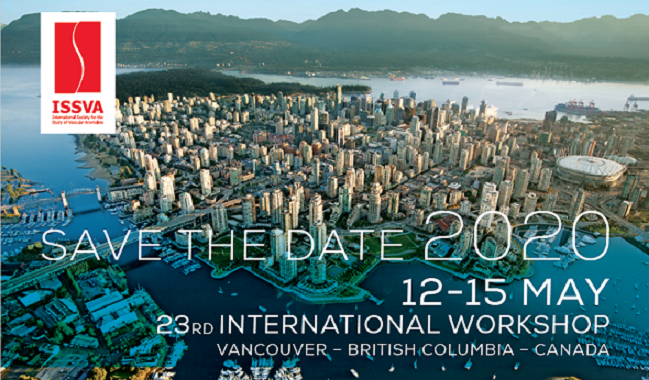 Be sure to mark your agenda for the ISSVA 2020 Workshop in Vancouver, BC, Canada. As details are finalized they will be available on the ISSVA website, the newsletter and through ISSVA’s social media channels. Submissions for Abstracts will be accepted in late 2019. This provides you with an excellent opportunity to participate in the meeting through an oral abstract, poster, and more. You’ll also be eligible to be recognized as the recipient of the John Mulliken Award for Best Scientific Paper; Robert Schobinger Award for Best Clinical Paper; or the Stephan Belov Award for the best poster. We will also be opening registration for the Workshop in late 2019, so stay tuned for updates! The ISSVA Board of Directors has decided to transition to an annual meeting beginning in 2020. The biennial Workshop format will remain as is, and the format of alternate-year meetings will be announced at a later date. 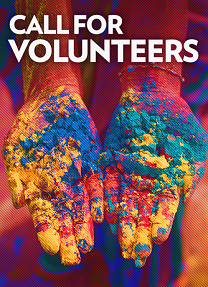 ISSVA now has a Meetings Committee which helps to plan the Primer and Advanced sessions held the day before the Workshop begins, and will help in planning the newly-announced alternate year meetings. If you are interested in being considered for membership on this committee, please send your name, and a brief statement of relevant experience in planning educational meetings to Prof. Tony Penington, Chair of the Committee. To participate in the newsletter’s literature review, the classification committee, or to contribute to the editorial board, please reach out to the ISSVA Secretariat at: info@issva.org.